We have below the Map of Goa which displays to you the tourist places of Goa. 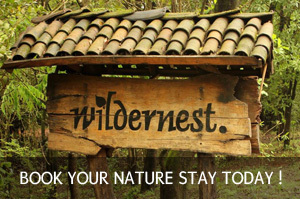 Overall, Goa as one of the smallest states in the Indian Constitution encompasses an area of 3,702 km² (1,430 sq mile). Goa lies between the latitudes 14°53'54" N and 15°40'00" N and longitudes 73°40'33" E and 74°20'13" E. Most of Goa is a part of the coastal country known as the Konkan, which is an escarpment rising up to the Western Ghats range of mountains, which separate it from the Deccan Plateau. Hence, though Goa is a small state, it gets highlighted on the map of India. The highest point on the geographical map is the Sonsogor, with an altitude of 1,167 metres (3,827 feet). Goa has a coastline of 101 km (63 miles). Be sure, when you come to Goa, you carry a copy of the map of Goa, so that you could not only get the right directions, but also do not miss out the off beat places in Goa which are not usually highlighted in the map of Goa. If you love travelling, You would need to carry a detailed roap Map of Goa or a goa guide.These road / tourist maps of Goa will undoubtedly be a useful tool for your travel plans in Goa. The above Map of Goa shows almost all the beaches in Goa, and the main tourist attractions of Goa. However, a detailed Map of Goa would also show you some of the local rivers / ponds, islands, hillock points, remote unexplored beaches and sunset points, etc. Goa's main rivers are the Mandovi, the Zuari, the Terekhol, Chapora River and the Betul. The Mormugao harbour on the mouth of the river Zuari is one of the best natural harbours in South Asia. The Zuari and the Mandovi are the lifelines of Goa, with their tributaries draining 69% of its geographic area. Goa has more than forty estuarine, eight marine and about ninety riverine islands. The total navigable length of Goa's rivers is 253 km (157 miles). Goa has more than three hundred ancient tanks built during the rule of the Kadamba dynasty and over a hundred medicinal springs.Carrying a Map of Goa while you are travelling to Goa is as important as your other luggage. So, please do not forget to get a copy of the Map of Goa. 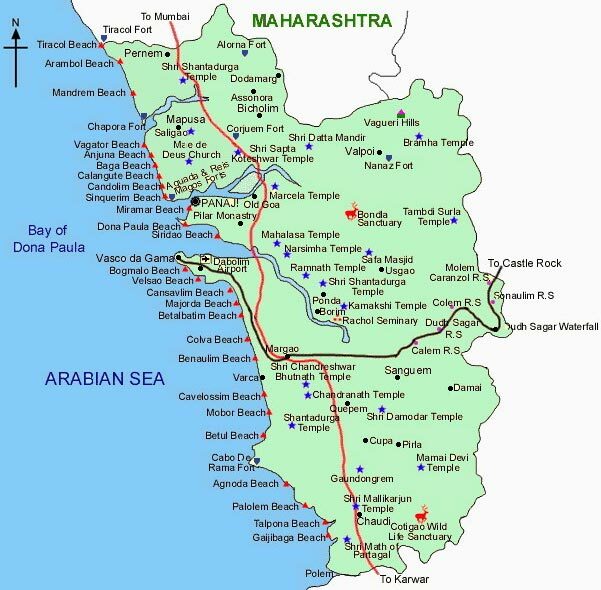 You can save a copy of the above map of Goa, simply right-click on the map, and select 'save image as' on your computer.